Way back in 2012 I published a forecast that showed that the use of R for scholarly publications would likely pass the use of SAS in 2015. But I didn’t believe the forecast since I expected the sharp decline in SAS and SPSS use to level off. 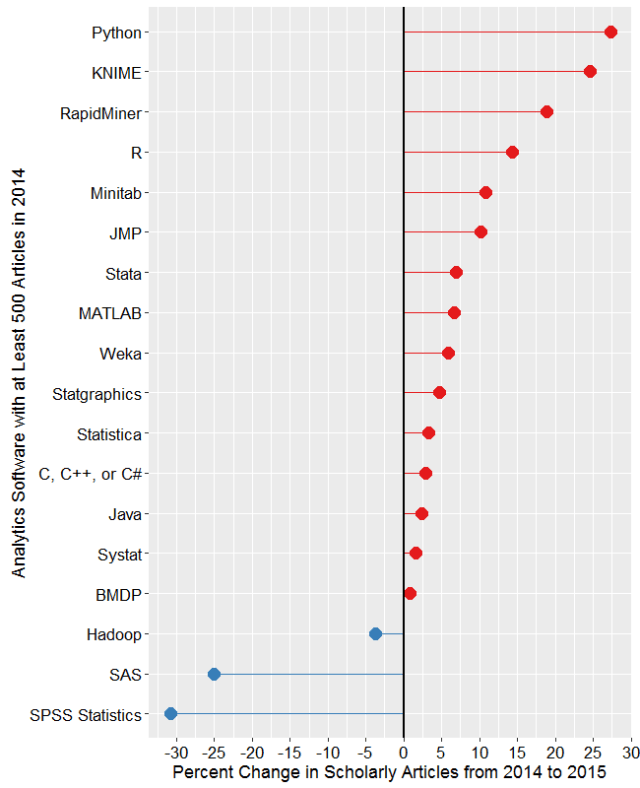 In 2013, the trend accelerated and I expected R to pass SAS in the middle of 2014. As luck would have it, Google changed their algorithm, somehow finding vast additional quantities of SAS and SPSS articles. I just collected data on the most recent complete year of scholarly publications, and it turns out that 2015 was indeed the year that R passed SAS to garner the #2 position. Once again, models do better than “expert” opinion! 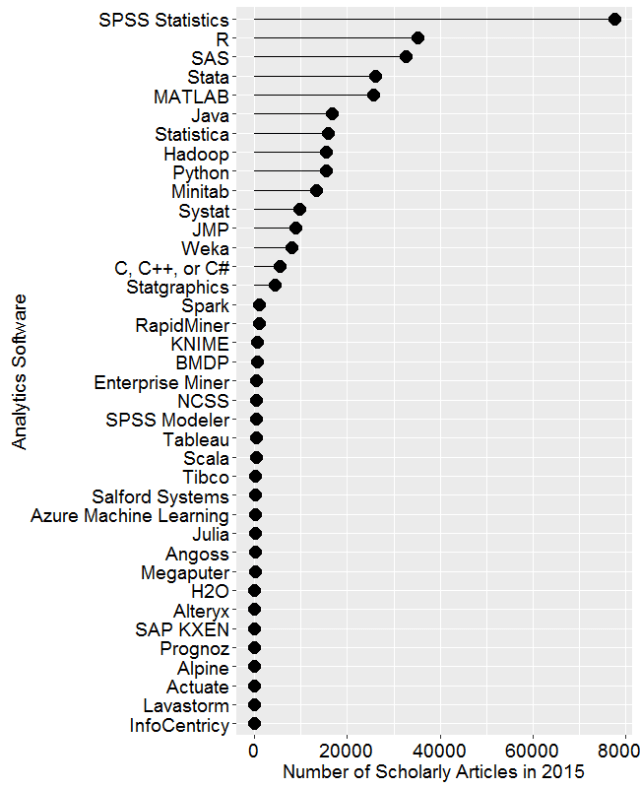 I’ve updated The Popularity of Data Analysis Software to reflect this new data and include it here to save you the trouble of reading the whole 45 pages of it. If you’re interested in learning R, you might consider reading my books R for SAS and SPSS Users, or R for Stata Users. I also teach workshops on R, but I’m currently booked through mid October, so please plan ahead.